Le Castellet: Formula One heads for an unprecedented run of three successive weekends of races and five in six weeks from this Sunday, starting with the return of the French Grand Prix after almost a decade off the schedule. 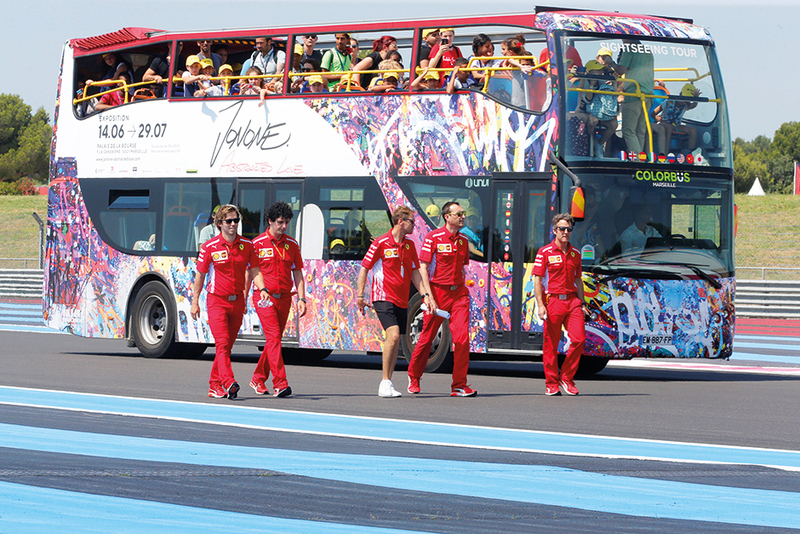 The revamped Paul Ricard circuit at Le Castellet was a fixture on the F1 calendar until 1990 when four-time champion Alain Prost won the last race held there for Ferrari. Half of the current drivers were not born when the French Grand Prix, the oldest event in the sport, then moved to Magny-Cours, until 2008, when it was taken off the calendar following Brazilian Felipe Massa’s win for Ferrari, their third in succession at that track. The dual challenges of racing on a totally-redesigned circuit that has been only used sparsely for testing and then departing to Austria and Britain, without a break, will be a major test, the triple header having been introduced to avoid a clash with the World Cup final on July 15. “It should be an interesting race,” said Mercedes team chief Toto Wolff. “We don’t often race where we have little or no historical data. It makes our preparations trickier than usual, but that element of the unknown adds to the challenge. Meanwhile, Lewis Hamilton is hoping for a power-boost and continued reliability this weekend as he and Mercedes bid to overcome Sebastian Vettel and Ferrari. The Briton and his Mercedes teammate Valtteri Bottas were out-gunned at the Canadian Grand Prix where fellow-four-time champion Vettel secured his 50th career win to regain the lead in the drivers’ title race by a point. Both Ferrari and Red Bull were given upgraded engines in Montreal while Mercedes continued to use the power-units that had started the season. It was a factor as Vettel dominated, winning ahead of Bottas, and Hamilton struggled, but extended his record run in the points to 32 outings, by finishing fourth [confirm]. “After that, I am glad to have scored points that may be valuable later on, but I really want to come back strongly in France,” he said. “People see me doing a lot of different things, I know that, but I am truly motivated. At the core of me is racing above all else. At 33, Hamilton has found a greater sense of serenity that has helped him move within reach of more records. If he claims his 65th career win on Sunday, he will set a record for victories in different Grands Prix, moving clear on 23 of seven-time champion Michael Schumacher on 22. And he will be one of the first in the paddock to congratulate two-time champion Fernando Alonso of McLaren on his win in last weekend’s Le Man 24-Hour race, a second part of his bid to land motor racing’s ‘triple crown’ of Monaco, Le Mans and the Indy 500.